Quick note of thanks for bearing with me through this giveaway. I know it's not something you're used to seeing around these parts, but when I was contacted about hosting either a product review or giveaway, I thought a giveaway would be a sweet way to thank you all for reading. Thank you to those of you who entered! (And of course, told me how precious Baby C is!) I Love You More Than Carrots will now resume it's regularly scheduled blogging with posts chock full of funny things my husband says, adorable pictures of Baby C and some fabulous beauty shortcuts that have not only made my life so much easier, but have helped me maintain some sort of my former (albeit slightly chubbier) self. 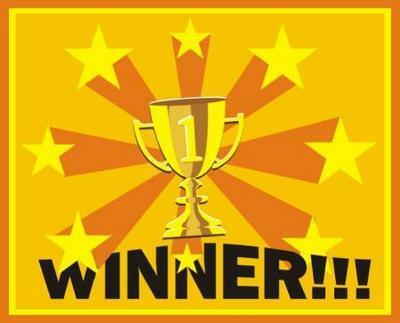 The winner of the $45 dollar CSN Stores gift certificate is... #17, Danielle! I desperately tried to copy the Random(dot)org widget into my post with little success, as I'm sure you can tell. November 22, 2010 2:50 PM"
Danielle is one of my absolutely favorite bloggers. Perhaps it has something to do with the fact that she's also Mommy to a beautiful baby boy named Carter! Her baby boy is just a couple of months older than Baby C and I love reading what her babe has been up to... knowing that Carter will be following suit very shortly! She has also been a wonderful bloggy mom-friend! Congratulations, Danielle! Please make sure to check your email for the instructions on how to use your CSN Stores online gift certificate. Thank you so much for reading! Give that Baby C a big squeeze for me!